There are several types of songs on this recording. Some are settings of Anne McCaffrey's words, some are completely original, but written in the universes of Pern and Darkover, and some are written by other songwriters. These eight songs are settings of Anne McCaffrey's lyrics written by Anne Prather. They are duets for guitar and voice, rather than songs with simple accompaniments. 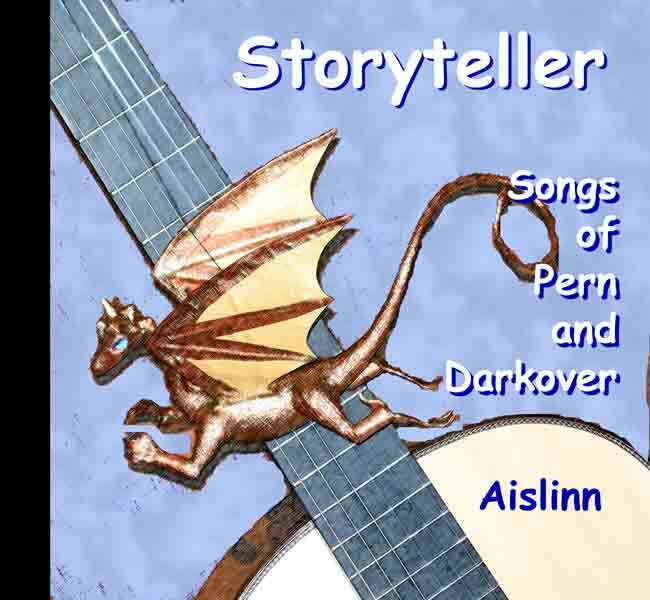 These songs by Anne Prather and Julia Ecklar with some lyrics by McCaffrey are the more conventional folk songs with simple vocal parts with simple guitar accompaniments. 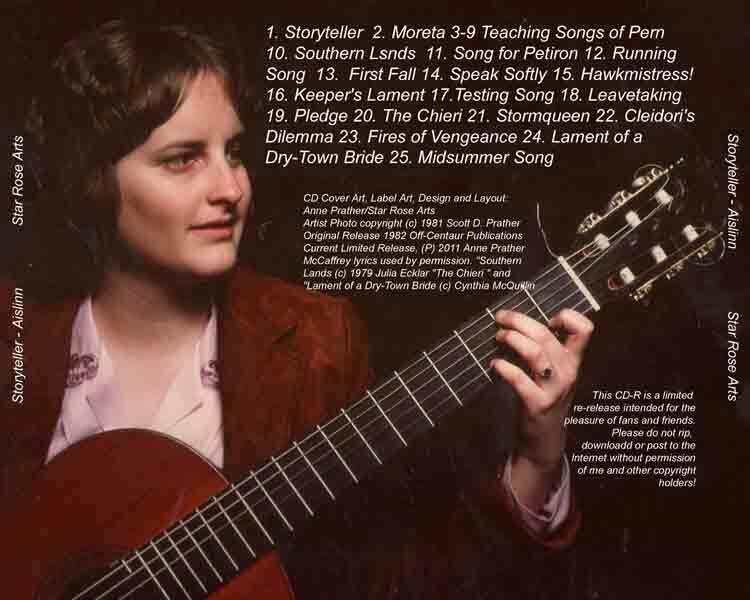 These songs by Anne Prather and Cynthia are all directly based on specific books in Marion Zimmer Bradley's Darkover universe.